In a painting such as Warriors of New South Wales, 1813, we can easily imagine a group of men ready to take to the football field. The game has its straight up and down plays – the long-kicking and high-marking that seem to give the contest a sense of order and clarity of purpose. But then there are the moments of pure anarchy, as the ball falls to the ground, players knock it forward or sideways, and a quick handball or a short, driving kick produces an unexpected result. Adam Goodes playing in 2010. Other rules of the engagement are baffling to the untrained eye. There are no referees with a send-off power, merely umpires; there is no offside rule; the pitch dimensions vary from one ground to another; and the language of the commentators and the fans (the “barrackers”) is unusually martial. Formed in the 1850s frontier contact zone, Australian football owes more to the experience of warfare between British settlers and Indigenous Australians than is usually recognised. These rules were written on a wet Tuesday afternoon in Bryant’s Hotel in May 1859 by four young British men delegated with that task by the new Melbourne Football Club. The city of Melbourne, destined to become a leading hub of the British Empire, was still young, but already a series of straight lines intersecting at right angles etched across what had been open Wurundjeri and Boonwurrung land only a generation before. Australian football would become the product of this frontier contact zone. The four founders of the game spent most of their lives within these overlapping and shifting domains, seeking to negotiate their troubled subjectivities in the frontier. Tommy Wills, who grew up in western Victoria, was the son of a settler implicated in ethnic cleansing against Indigenous Australians who would later lose his life in a conflict with the Gayiri people in central Queensland. James Boyne Thompson left Melbourne for country Victoria, slipped down the social ladder, did time in gaol, and died young. William Hammersley abandoned a wife and four children in England, married again in Melbourne, and died young without seeing his estranged family again. Thomas Henry Smith is remembered for his peppery temper, but fell from view soon after helping write the rules. In short, the quartet who drafted the rules of this new “most manly and amusing game” were misfits from British society who were seeking new lives, or a refuge away from the dictates of convention, on the frontier. 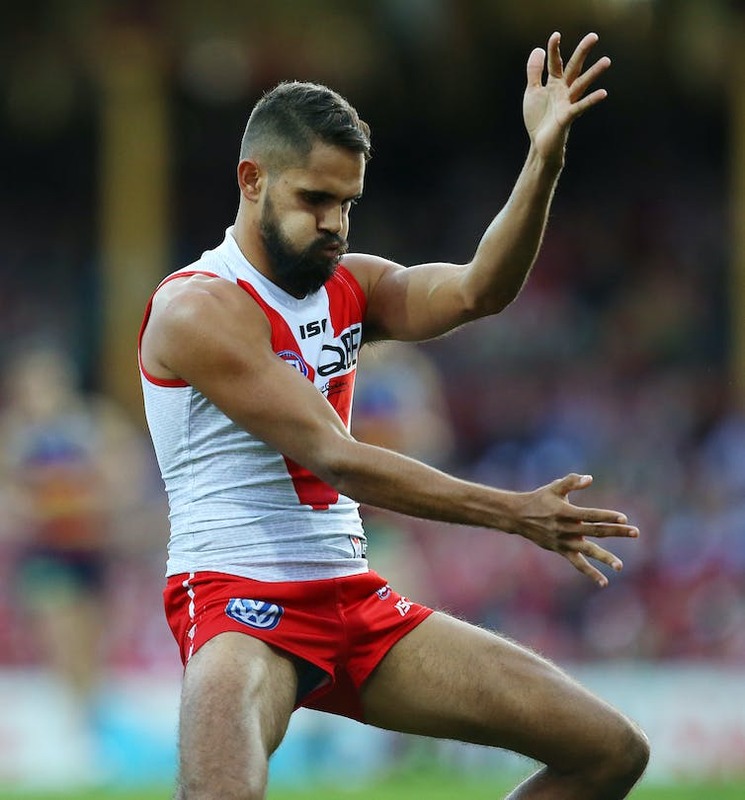 Sydney Swans’ Lewis Jetta performs a dance in front of the crowd in 2015. If we re-assess the historical sources, many features of the “Game of Our Own” reflect the all too familiar story of European colonisation. There were certain consistent themes in the appropriation of native lands and resources by the British, French and other colonising powers in modern imperialism. One is the collision between ways of delineating – or striating – newly conquered land with straight property lines against indigenous land uses that understood property in more open and communal – or “smooth” – terms. The new football code similarly involved delineations across the “smooth” spaces of Melbourne’s parks and gardens. The colonisers made attempts to embody Indigenous “qualities” of physical prowess to increase and justify their power and dominance over the colonised. Australia’s imperial newcomers often sought to “go native”, to appropriate what they saw as the Indigenous faculty for becoming spiritual or animalistic, which was their way of interpellating the Aboriginal “Other”. For instance, in swimming they adopted what became known as the Australian Crawl. In running they borrowed the idea of the crouch start. Elements of the Indigenous ball game usually called Marngrook – such as high marking — made their way into Australian rules football. European settlers observed Indigenous warriors chalking themselves in vivid colours and stripes for battle and copied this in their guernseys. We argue that the predominantly European colonial football teams adopted totemic plants (such as Mayblooms, Fuschias) and animals (such as swans) in their nomenclature as manifestations of this prowess. Football players were bedizened in costumes that spoke either of Empire (the white) or native decoration (hooped guernseys). When we look at paintings such as John Heaviside Clark’s Warriors of New South Wales, 1813, we can easily imagine a group of men ready to take to the football field. They are showing their spirit in their gestures; they are banded together for a common purpose. The full-sized Warriors of New South Wales, 1813, by John Heaviside Clark. Not surprisingly, Indigenous men took up Australian football on the Victorian reservations where they were exiled from 1869 onwards, and as early as 1872 a Framlingham resident, Pompey Austin, was selected to play for Geelong. These martial features of Australian football should not surprise us. After all, a bloody war between the colonisers and the Indigenous was in the living memory of the players and their barrackers. That war is now distant to us, and has earned the sobriquet the Frontier Wars. Between the 1830s and the 1850s hundreds of Indigenous warriors and dozens of British settlers were killed across south-east Australia. Echoes of that conflict recur in the national code of football. For Aboriginal Australians, even in parts of the continent dominated by Rugby League, this is their code of preference. They feel such a strong connection to the game that an explanation such as the one we have provided is demanded. And then there is the ongoing puzzle of the 2015 season – the booing of Adam Goodes, a champion of the game and an Australian of the Year. Goodes wanted to remind the game’s devotees that it contained at its heart an Indigenous element. 95 per cent of the commentariat agreed with him; 75 per cent of the instant experts on social media did not. Those who booed said they were not “racist”. Historians of the game would beg to differ. A detailed version of this argument can be found in Robert Pascoe & Gerardo Papalia (2016) A Most Manly and Amusing Game’: Australian Football and the Frontier Wars, Postcolonial Studies, 19:3, 270-290.